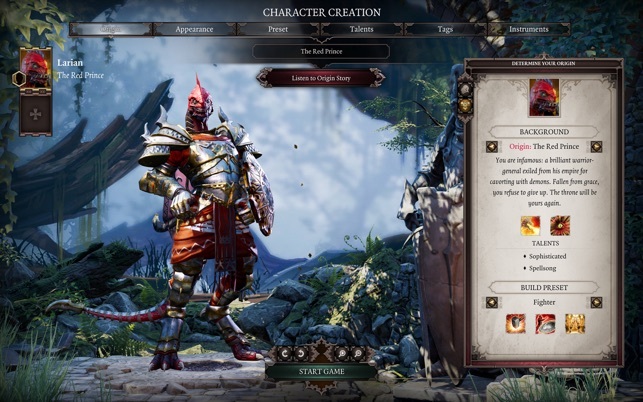 Having won over 160 awards and nominations including a BAFTA, Divinity: Original Sin 2 finally comes to Mac. 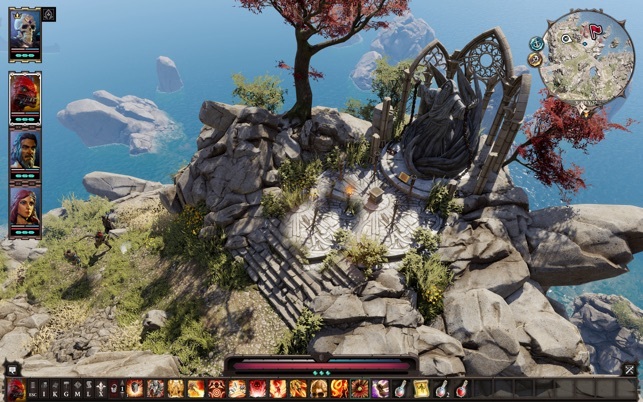 Form a party and experience true branching gameplay with a story unique to each player, in a world filled with evil and abandoned by the gods. Your choices matter, so choose wisely, and know that only one of you can become the new Divine! 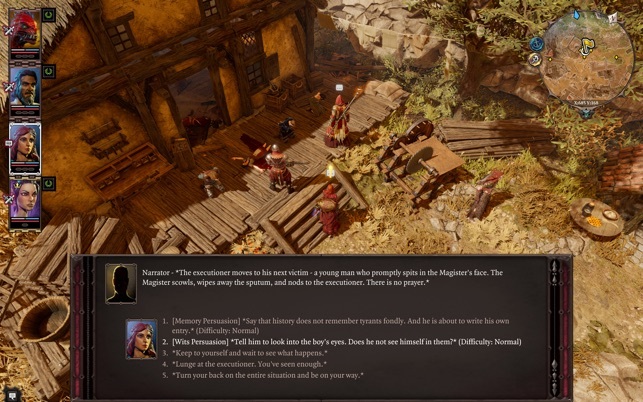 - Play as one of 5 fantasy races, each with their own personalities and stories: Elves, Dwarves, Lizards, Humans, and the Undead. - Explore a vast world full of loot, treasures, upgrades, and stories with unprecedented branching narratives. 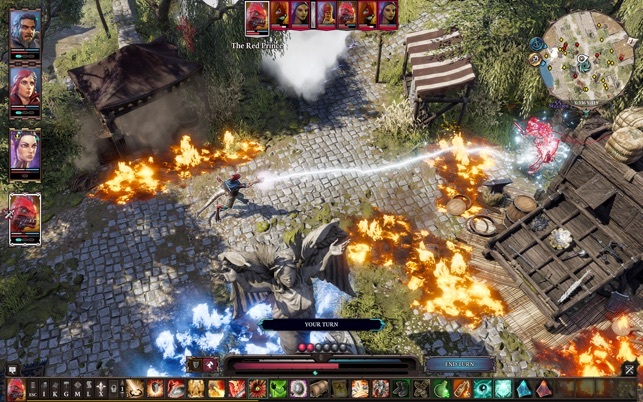 - Turn-based combat featuring the elements of nature: combine fire, earth, water, air and everything in between to take down your enemies. - Talk to animals and ghosts to gain unique insights about the world and its secrets. 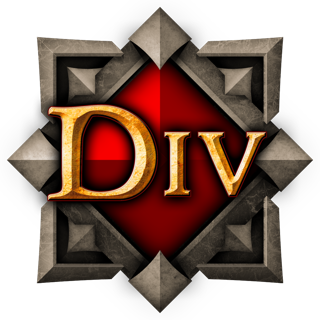 - Up to 4 players online or 2 player split-screen coop. The game has the following technical requirements and recommendations. To check your Mac model, select "About this Mac" from the Apple menu in your menu bar. - macOS 10.12.6 Sierra can launch the game but does not meet quality standards and is not officially supported. - Any iMac capable of 500Nits display that supports Automatic Brightness Adjustment. - MacBook Pro: the game works on 15" MacBook Pros since Mid 2015 with AMD Radeon R9 chipsets, but requires at least MacOS 10.13.6. Your gaming experience may vary due to thermal conditions. - iMac: iMacs since late 2013 with NVIDIA GPUs can run the game but are not officially supported. - MacBook: MacBooks since early 2015 can run the game but are not officially supported. - Haswell-based Intel Iris graphics chips currently exhibit artefacts on screen. Very dissapointed. I bought it the other day, on the basis of the articles talking up the quality of this port. It didn't even run -- it brought up an "critical" error saying that my Mac was not compatible (despite claiming it did on the app's page in the store). Then today, after multiple failed attempts to download and apply a 19GB update, it now brings up the launcher, but immediately crashes out to the desktop (despite any/all options being toggled). Will be looking to see if I can get my money back on this. Can you please email support the specs of your Mac and indicate you’re coming from AppStore. The only Mac that might have the issue is MacPro 2013 which is being fixed very soon.